Conduit manufacturers make things easy for the electrical construction industry. They have standardized the length, so electricians do not have to worry about each manufacturer having its own dimension. The tricky part, however, is to understand that many conduits have hubs. The hub itself "draws in" the next section of conduit, so the actual length is shortened a little bit by the draw. Seasoned electricians know about the draw in, and always have an extra "stick" or two on hand to compensate for the hub draw. Electrical conduit lengths are standardized. The simplest conduit of all is no-hub. This is just a straight "stick" with no bell-like hubs on the end. "Stick" is electrical jargon for a piece of conduit. The standard lengths available for no-hub conduit are 10 feet and 20 feet. This applies to steel or PVC conduits. 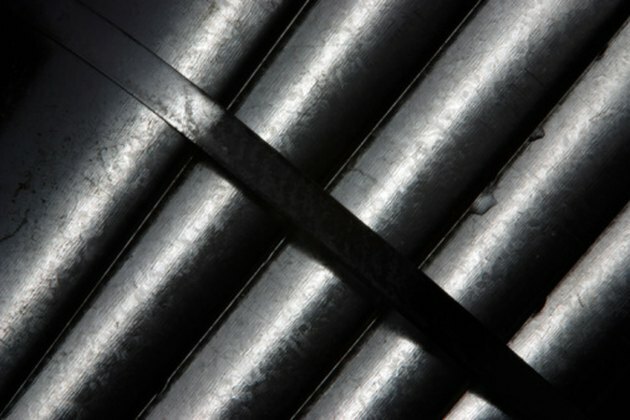 To connect sticks together for a long run, electricians use a coupling, which is glued or threaded to the outside of the conduit. Hubbed conduit has a bell-like end. This allows another piece of conduit to slide in, or to screw in. Hubs are molded in so an electrician does not need to take the extra step to glue in a coupling. According to the public utility Nevada Energy, standard lengths are either 10 feet or 20 feet for hubbed conduit. This is the overall outside length, with the hub or threaded coupling attached. The bell hub itself has a length, which is subtracted from the length overall of the conduit. ifferenDt sizes of conduits have different hub lengths. For example, a 2-inch diameter stick may have a hub that is 3 inches long. The 3 inches is subtracted from the overall length. For a 20 foot stick, the true length is 19 feet 9 inches. For a 10 foot stick, the true length is 9 feet 9 inches. Electricians constantly do math to calculate exactly how many sticks are needed for a job. Suppose an electrician has to install a 100 foot conduit run. If 10 foot long sticks were no-hub, 10 sticks would do the job. With hubbed sticks, compensation length must be calculated. He measures the hub draw in, and discovers that each stick has a 4-inch draw. Therefore, the true length of each stick is 9 feet 8 inches. He does some math, and calculates that 11.53 sticks span 100 feet. He rounds up and brings 12 sticks to the job.